The next step after you buy a mining hardware is to download bitcoin mining software. It is a program which will allow your hardware to hash blockchains and let you earn bitcoins. Despite the growing popularity of bitcoin mining, programs are still difficult to find. So, here is the list of 10 best mining programs to help you. 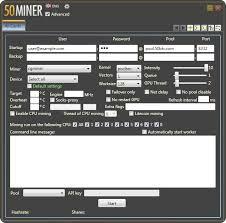 This mining software is a GUI, designed for Windows users in collaboration with the 50BTC bitcoin pool. 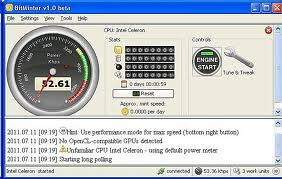 The software automatically detects your system’s OpenCL platforms and video cards. It can automatically start mining with the best hardware settings too. Its built-in widget shows data like speed, rejected shares, and accepted shares. This is one of the most popular bitcoin miners today. It supports scrypt mining for both OpenCL and CPU with multi-device support and automatic detection of fail mining pools. This program can also function perfectly in slower internet routers without losing its caching capabilities. It is compatible for both Linux and Windows users. This is an open-source bitcoin miner which supports several FPGA boards. It automatically detects and chooses a frequency with high rates of hashes. You may choose its cluster mode, allowing you to run multiple FPGA boards. It is ready-to-use miner which doesn’t need any Xilinx software license. It is Java GPU software which uses OpenCL framework, allowing you to hash blockchains quickly. It is compatible with latest Nvidia graphic drivers and up-to-date ATI Stream SDK. It can support unlimited pools and it automatically switches to another pool in case of failure. You need to pull up your system’s terminal to open the program. Like the BTCMiner, Bit Moose is an open-source mining software which allows you to hash blockchains under your system’s background. It includes both console and GUI host. You can also tweak the software’s settings via .xml file to tune up its performance. The program is only available for Windows users. 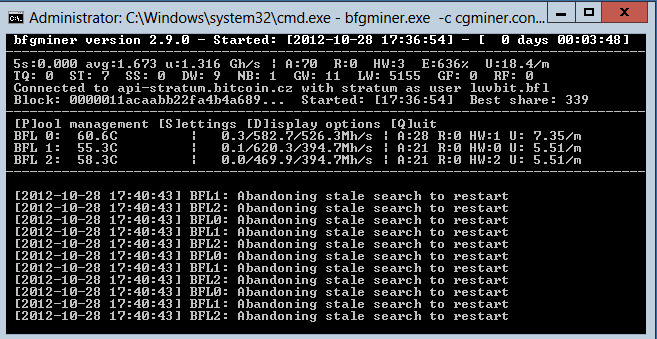 Remote Miner is new open-source bitcoin mining software from PuddingPop. It will connect you to RPC Mining Pool through JSON-based protocol with higher efficiency and stability. Different distributions include servers for CPU, 4Way, ATI OpenCL GPUs, and Nvidia CUDA GPUs. The software can run for both Linux and Windows platform. Another publication from PuddingPop is RPC Miner. Similar to Remote Miner, it comes in 4 distributions: CPU Miner, 4Way CPU Miner, ATI GPUs’ OpenCL Miner, and Nvidia GPUs’ CUDA Miner. 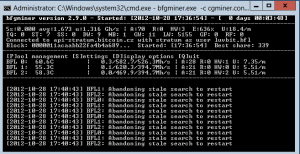 The RPC Miner is perfect for Macintosh users other GU platform. It is simple client software which allows you to solo mine or pool mine. It can access block data from mining server by guessing a nonce value, changing the validity of the block. It features secured encryption for different platforms: SHA256 for Linux Kernel, 128-bit SSE2 for 4Way, Padlock encryptions for VIA CPUs, and more. Miners using multiple CPU cores will find this program more efficient. The best feature of BitMinter is its straightforward functionalities and user-friendly interface. You can easily install it because the first step is to register and download the program inclusive to specific mining pool. The software is available for different platforms like Mac OS, Linux, and Windows. It promises stable hashing speed, OpenCL compatibility, and stale work reduction. 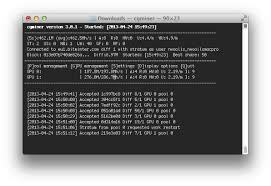 The most popular mining software today is CGMiner which runs for GPU, ASIC, and FPGA miners. 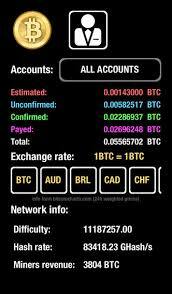 It is an open-source program originated from the framework of Cpu Miner. It allows you to overclock and monitor your system such as fan speed and remote functionalities. The program can detect new blocks and automatically builds a small database with binary kernels and CPU / GPU support. Bitcoin mining is a peer-to-peer technology. You need secure connection with both users and clients without reducing other features such as stability, hash speed, blockchains detection, and multiple mining pool compatibility. The faster you hash the blockchain, the more bitcoins you can get from the pool. Solo mining is also possible but it takes time. Try to join a mining pool with one of the bitcoin mining software we listed out and share with us your experience on the comments section below.